The advice and guidance on this page should enable you to draw up a distribution schedule and calculate the sums due to heirs on intestacy. However, if you would like us to do this for you, please contact us. We can produce an Intestate Estate Distribution Schedule (see graphic below) for you free of charge along with our report or at any time prior to distribution so that you can be confident that each heir is receiving the correct sum due to them. 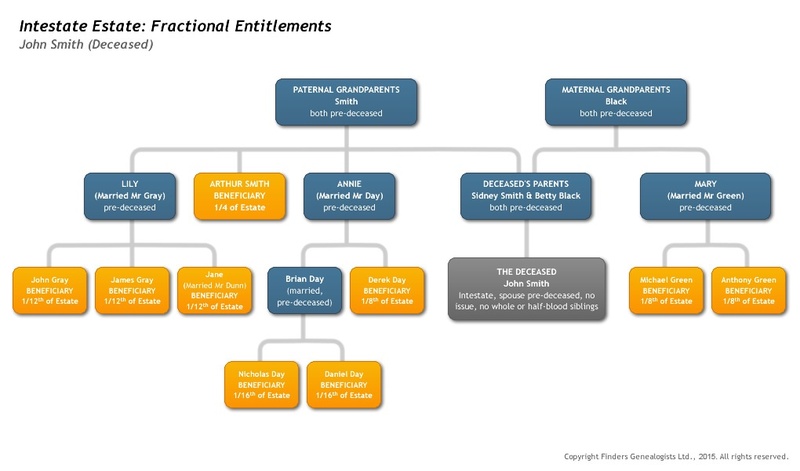 For example, please see the Distribution Schedule and Fractional Entitlements charts below in the fictional estate of John Smith. 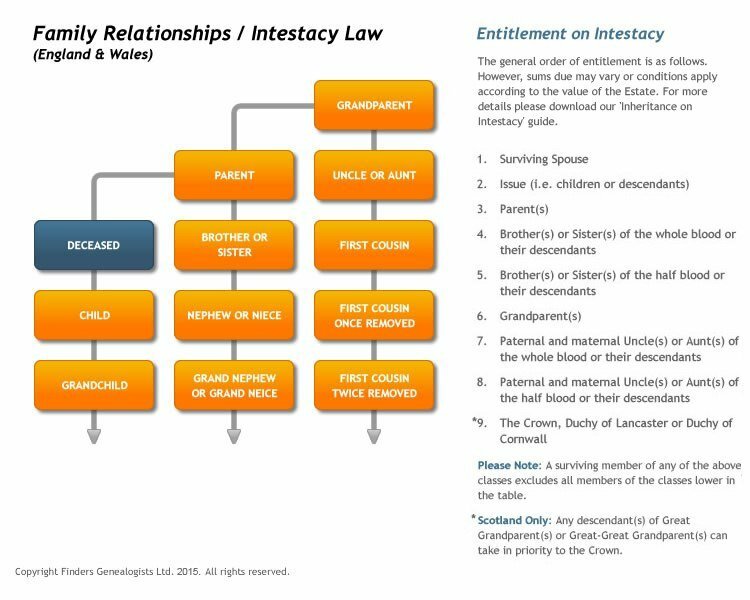 Family Relationships / Intestacy Law graphic – a visual representation of family relationships and a summary of Intestacy Law. Downloadable Inheritance on Intestacy Guide – an easy to read chart giving more detailed advice on Intestacy Law and how the estate value may affect who benefits.